They fit hands large and small. Steve Fisher of Sentinel Concepts. His hand is just a little bigger than that of the learner Sophie. Both were able to use the same M&P pistol during the class. Note, the photo below does not represent live fire. We trained as infantry, not cavalry or centaur pistoleros. It does show how well M&P9 Compact fit the hand of a 4’10” shooter. Yesterday, I got to see how the longlide M&P9 Pro worked for an even tinier 8 year old Alexis. There’s no doubt in my mind that she can run it to good effect. 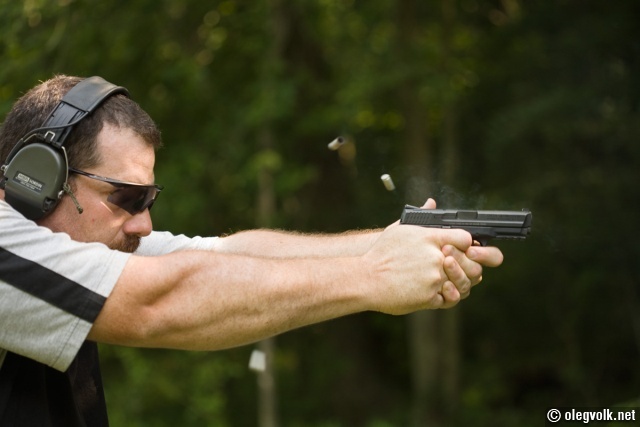 Defensive guns, in general, empower those who are neither big nor aggressive. With pistols like these, the contrast between the capability of the armed person and the incapacity of the unarmed are even more evident. 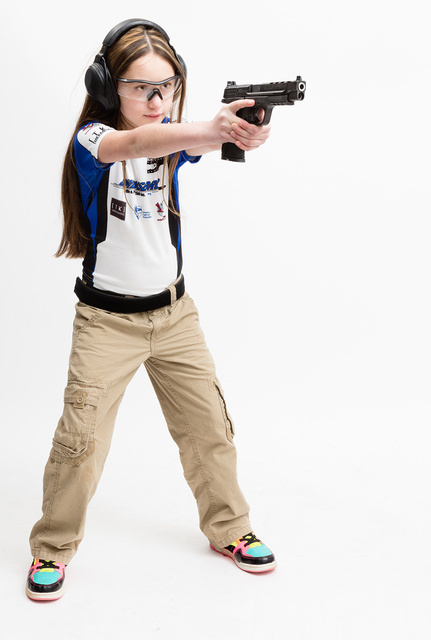 This entry was posted in pistol, self-defense, training, weapon and tagged 9x19, child, girl, sport. Bookmark the permalink. M&P’s are fantastic guns. Almost as easy a Glock to work on. Very comfortable to all hand sizes. Too bad California and Smith & Wesson seem to hate each other . . . we can no longer sell them here. They were are best sellers before Commiefornia put a stop to the sales. They have since been replaced by CZ75’s as the most popular handgun in the store. The CZ’s are just as comfortable, but new gun people complain about the weight of the all steel guns. I love this photo of Alexis; this should be one facet of every American eight-year-old, if not all of the world’s eight-year-olds. Thank you, Alexis, Oleg, her parents, … you give me hope.